Animal quarantine asked to be more proaktif and selective do custody to entry of virus of flu bird of area which have contagious to other area which not yet contagious in Papua. Matter that way, aim to be process spreading of virus kill this do not extend in all plain in land ground of Papua this. Before all virus of flu bird have been found at one of the poultry in Sub-Province of Timika. On the basis of that, Quarantine Animal asked as soon as him conduct action handling and also strive proteksi early, to shut-out virus him of flu bird to other area in Papua. Head Public Health Service of Provinsi Papua, dr. Tigor Silaban, telling that thing is to journalist, proteksi yesterday Strived it is of course have to is immediately done by Quarantine Animal and relevant institution to take care of virus of flu bird do not disseminate to Papua. Because storey level spreading of virus kill enough quickly and can attack young and old good whosoever. ” Thus, have to be taken care of by animal don’t which have been hit by virus of flu that bird enter to this place. Custody in un-taken care of port either by that quarantine will become problem. 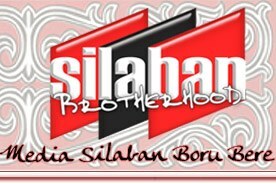 Become the the importantness of custody of in airport and in ports have to good, don’t there is animal enter from contagious area,” say Silaban. Is told by head on duty Health, in this time his side not yet earned to do something besides only awaiting if virus of flu bird have contagious to human being. ” In this time, we not yet can something. Because, that business owner of ranch, merely if there are that new ill human being become our business,” he said. Beside that, x’self confess that day-dream storey level to patient which is virus contagious of flu bird later will become difficulty. Because equipments of health which in Papua very not adequate. ” The example in just Jakarta, there is so called patient of that Yulianus Saroso it is true 70% have died is though handled complete by means of We here have no something. In The RSUD Dock of II that of appliance of destroying all. Becoming for the handlings of patient of flu bird will very riskan,” I is him. Indication of virus of flu or bird of avian influenza at one of the poultry in Sub-Province of Timika some times then, enough to in the reality make worryed most residents in Provinsi Papua. Activity Consumption chicken flesh and egg even also in Town of Jayapura, seen enough experience of degradation. Equally that some of societies become to fear to consume chicken’s egg and flesh. But from research all man of sciences health of indication that healthy chicken flesh if cooked in high hot temperature temperature, can kill disease bacterium and virus. That relating to of Silaban urge society to keep head and take a care to spreading of virus kill this. “ I am only can urge us to each other just to taking a care yes. I cannot prohibit society to eat egg or chicken, but just neglectless us, yes of course food have to be cooked the best of and flesh which have bad don’t buy to be eaten, “ him saying.